Arnaga is the name of a palace in the town of Kanbo, in the province of Labourd of the Northern Basque Country. It will go down in history as the place where the morning of May 4th, international figures such as Jonathan Powell, Bertie Ahern, Gerry Adams, and Cuauhtémoc Cárdenas supported the ending of ETA by a declaration which also made vows to resolve outstanding issues and begin a path to reconciliation. It happened last May 4th in the presence of large amount of media and political and social representatives of the Basque Country. 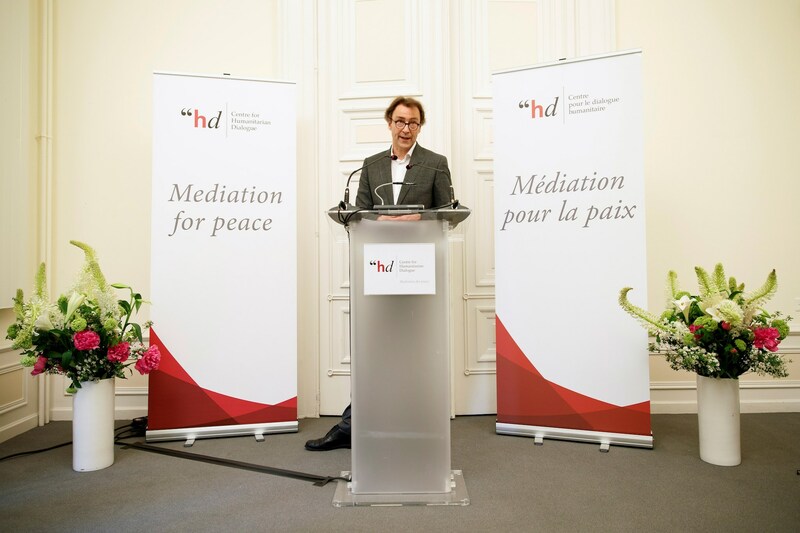 The day before, the Henri Dunant Centre for Humanitarian Dialogue in Geneva, Switzerland, a center specializing in the mediation of conflicts, certified that ETA had ceased to exist, utilizing two recordings in which the historical leaders of the organization, Josu Urrutikoetxea (from clandestinity) and Marixol Iparragirre (from prison) read press releases making the announcement. 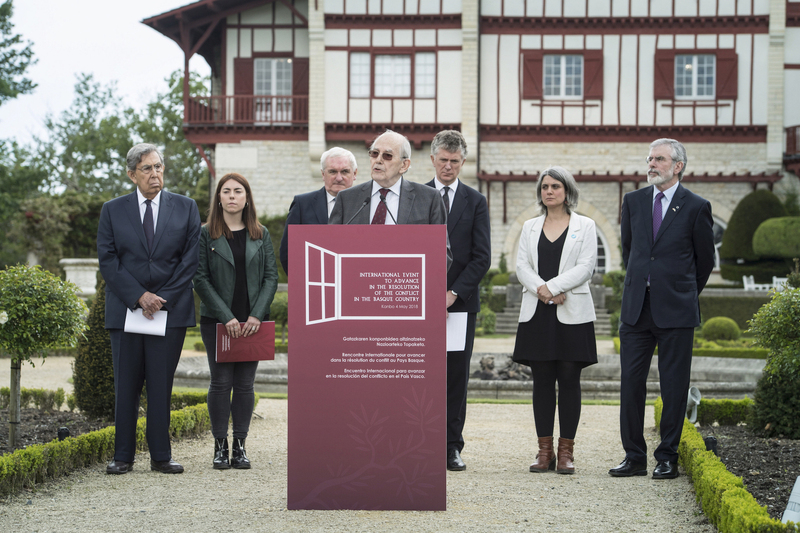 The weeks leading up to the Act of Arnaga were dizzying in the Basque Country, especially since on April 20th, ETA released a statement that expressed its remorse for the damage caused and respect towards the victims for their actions. “We sincerely feel this,” was the expression used. At the same time, they asked forgiveness from the victims harmed by their armed actions, people who were affected despite having no responsibility or direct involvement in the conflict. This distinction between victims to whom they expressly asked for forgiveness, from others to whom they only manifested remorse for the damage caused, angered much of the Basque political body, which considered such discrimination as inadmissible. Not received well either was the lack of self-criticism and rhetoric of auto-justification that permeated the announcement, but there was a broad consensus when assessing it that up to this point, ETA had never come so far when it comes to expressing such empathy for its victims. During the days prior to the ending of ETA, there was also quite a bit of anticipation for the content of the final communiqué of the armed organization and also regarding the delegations that would be present in Arnaga. 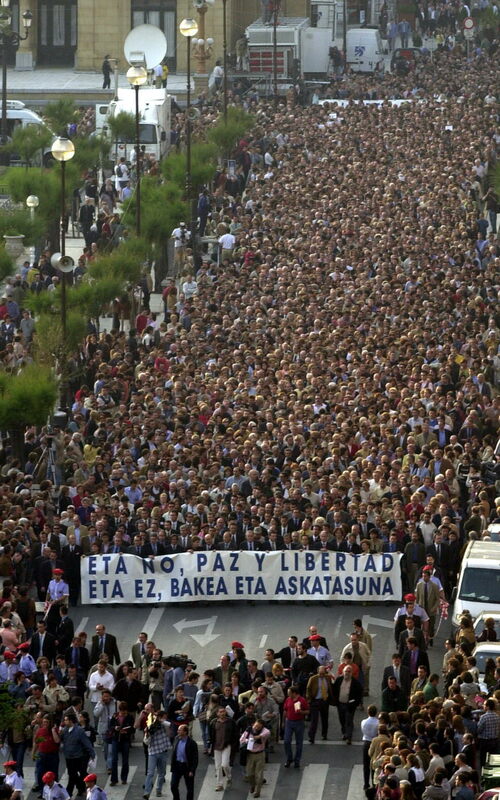 There was uncertainty whether ETA was going to use the term “demobilization”, since there was much being said about the DDR (disarmament, demobilization, reintegration) methodology used by the United Nations for the resolution of armed conflicts, but in the end, such a word did not appear, perhaps because the majority of Basque political officials had already warned that it would be inappropriate and insufficient. Moreover, although the same criticisms as the statement of April 20th were made again, there was almost unanimity rating the clarity with which ETA permanently said goodbye as very positive. The other aspect that was controversial during the days prior to the Act of Arnaga, was the idea of which political parties and Basque institutions were going to be present at this historic event. 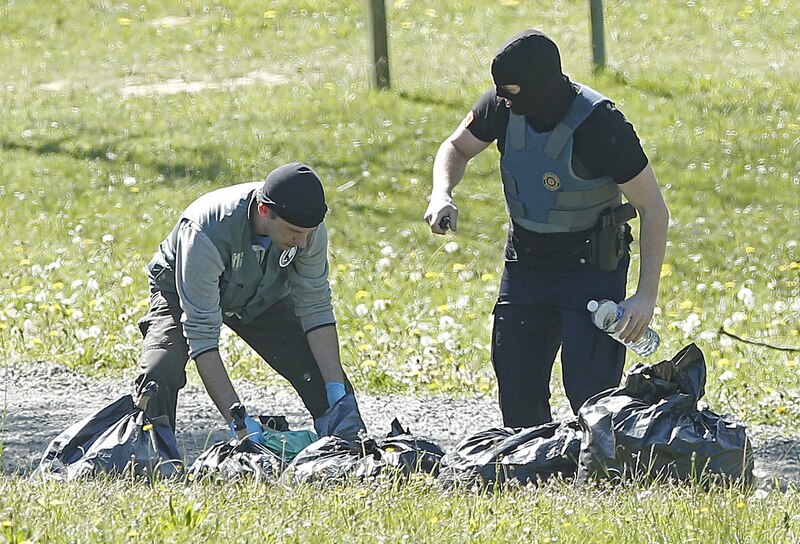 And, as was the case for the disarming of ETA in April 2017 in Bayonne, the representations of the political body of the Northern Basque Country and Southern Basque Country were very different. This difference is explained primarily by the disparate impact that ETA’s armed activity has had for six decades of existence on both sides of the border. From the Northern Basque Country, all of the political representation was present except the extreme right, FN. At the head was Jean René Etxegarai, President of the Commonwealth of the Northern Basque Country. Attending from the Southern Basque Country were representatives of the Basque nationalist parties PNV and the members of the EH BILDU coalition, and the federalist party Podemos, but there were no representatives from the pro-Spanish parties. Neither of the lehendakaris (Presidents) attended, Iñigo Urkullu, of the Basque Autonomous Community nor Uxue Barkos, of the Navarre Foral Community. These absences were criticized especially by the Basque independence left, but both Presidents affirmed that as institutional representatives (members of their parties and coalitions did attend) they should not participate in an act with which they disagreed on ethical and political matters. In fact, they celebrated another event jointly the afternoon of May 4th in the palace of Señorío de Bertiz (Navarre) at which they read statements and advocated both a political agreement on the “Injustice of Terrorism” and asked the Spanish President Mariano Rajoy for the creation of a working group on prison policy. Both the morning in Arnaga and the afternoon in Bertiz were solemn acts that undoubtedly responded to a historic event. There are those who criticize the morning ceremony as excessive and even unnecessary paraphernalia since the important news had already occurred on the eve in Geneva. Others, however, understood it as an act of the ending of ETA that brought international backing and therefore criticized the afternoon act as unacceptable counterprogramming. 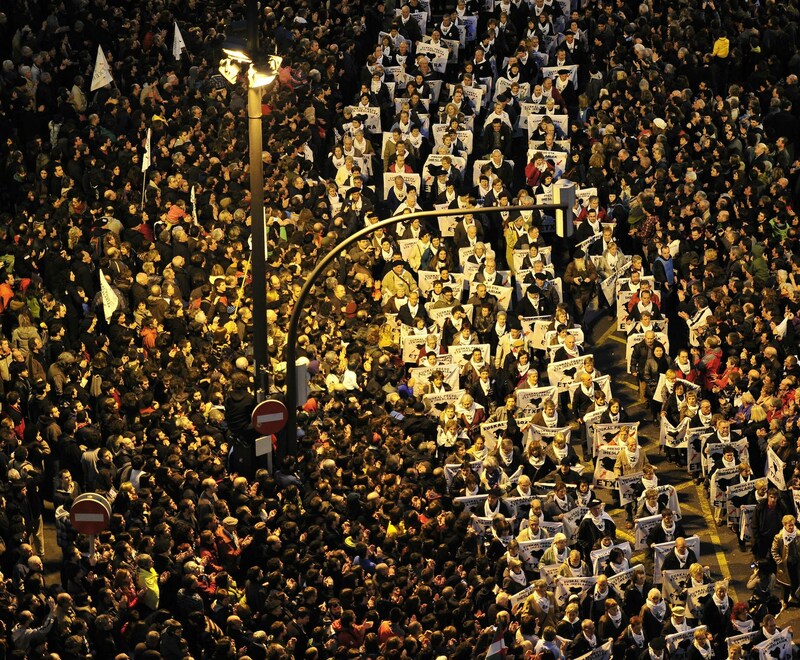 In any case, the fairly widespread feeling of Basque citizens is that this ending has come too late and that what is truly remarkable already took place in San Sebastian in October 2011 and in Bayonne in April 2017. This is why, for many people, the expectations for the events of May 2018 were notably lower. Remember: In October 2011 the International Peace Conference of Aiete (name of the palace that hosted it) was held in San Sebastian, which meant the abandonment of armed activity of ETA, abandonment that has lasted until the end. It was the beginning of a unilateral process whose second major step was the disarmament materialized in Bayonne in April of 2017. Basque Tribune previously offered an extensive analysis on both historical milestones, but a rereading of that report helps us see that the issues that we cited then are still pending. We refer to the story about ETA, coexistence, recognition and reparation to victims and prison policy. “Despite the efforts of some, it seems clear that it is very difficult to impose on Basque society a single account of what has happened during ETA’s years of existence. Among other things, because the ideology, strategy, and actions of the ETA organization (of all its branches) over time have been enormously disparate. While it is true that ETA has reached 2017 with the rejection of the vast majority of Basque society, throughout history this has not always been the case. Among Basques there were those who supported ETA until it began killing; some supported them until the dictator Franco died in 1975 and saw that it was time to quit; some until the 1977 amnesty agreement; and some until they began indiscriminate attacks or killing journalists… There are also Basques, many Basques, who never supported ETA. Consequently, it’s a difficult objective to agree on what ETA has meant throughout its history, as difficult as it is to reach an agreement on the motives for its ending. The range of interpretations is extremely broad, from those who speak of a sizable military defeat due to police pressure, to those who speak of a political defeat by a Basque society that already abhorred ETA, all the way to those who saw it as a realistic acknowledgement of an organization that is passing on the task to society for achieving the same political objectives. It seems easier to make advances with the coexistence of citizens and in the recognition and the reparation of the victims. The general feeling is that much progress has been made in this respect and that society actually seems to progress more quickly than political bodies when it comes to re-establishing a climate of coexistence and respect. 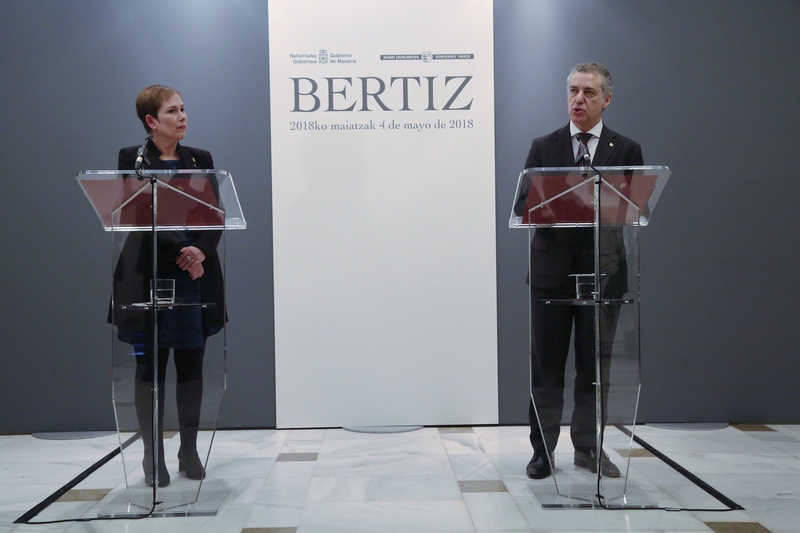 Both the Basque institutions (parliaments, governments and town halls) and civil society have interesting initiatives in which both the coexistence and the recognition and reparation of the victims are the priority objective. Still, it is not a path free of difficulties. ETA’s own communiqué in which the victims were differentiated is a sign of this, as well as the position of some groups of victims of ETA who are absolutely against participating in such initiatives. Finally, the attitude of sectors that speak only of the victims caused by ETA but refuse to recognize as such the large number of victims that exist who were murdered and tortured by police excesses, vigilantes and extreme-right organizations. Finally, the issue of prison policy is still pending. Aware that an amnesty such as that of 1977 is now impossible, the group of almost three hundred prisoners still in prisons set in motion a change in their historic stance of claiming collective solutions and began making individualized requests, such as adjustments in severity, working in prison or various other measures conducive to their quickest possible release. Claims such as the freedom of prisoners suffering from serious illnesses, the end of the policy of dispersal of the prisoners or their being brought to prisons closer to the Basque Country are supported by the majority of Basque society. With ETA gone, it should be easier to reach these objectives, but serious difficulties are still looming. On one hand, despite the request of Basque Presidents Urkullu and Barkos, it does not seem that Spanish President Mariano Rajoy favors the task of modifying his prison policy. It is known that in order to make certain decisions in this field it is necessary to be positioned as a leader of a strong government with a consistent parliamentary majority. This has been the case throughout history. But Rajoy and his party are currently in a situation of extreme weakness along with the intense pressure of the new right-wing party, Ciudadanos, whose position on prisoners is even more extreme. This party understands, as does much of Spanish society, that certain decisions on ETA prisoners would give them benefits and privileges, when the reality is that the petitions that are now on the table simply and plainly ask for compliance with the law and the rights of prisoners. The political climate in Spain, therefore, does not favor any significant change right now. On the other hand, pressure on prisoners is expected to increase for them to ask for forgiveness for what they did, to express their repentance, or even to cooperate with justice in clarifying unresolved attacks. It is not easy to know right now what will happen in this regard in the future, but it should be remembered that there is a group of former prisoners that dissociated themselves from the organization and began a reintegration process. They opted for the vía Nanclares program, coined after the name of the prison where they were grouped. Although quite a minority, there is also another group of prisoners who do not share the strategic shift made by ETA and the independence left and maintain the most radicalized positions. There is quite a bit of uncertainty regarding what this group will end up doing along with the people outside of prison who share their perspective. In this difficult situation, there is good news for the prisoners from France, where the government has made gestures like bringing them closer to their places of origin in some cases. It is not good news for those in Spain who advocate firmness and refuse to take measures which, in addition to being legal, are fair and humanitarian. In short, an organization, ETA, which surfaced in the dark years of Franco’s dictatorship and lasted almost six decades, said goodbye in May to a society that had been demanding it for a long time. ETA no longer exists, but its trail will be around for a long time. 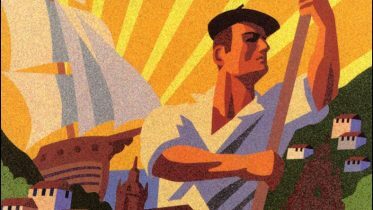 It is mainly up to the Basques to make a critical lesson of what has happened during these years, to guarantee a respectful coexistence, to solve the outstanding issues and to ensure that in the future no scenario of violence is ever repeated. Be the first to comment on "And ETA Ceased to Exist"